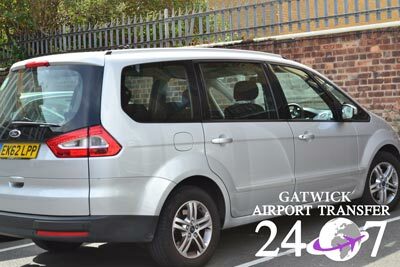 If you are looking for a Gatwick to Oxford Circus station transfer – 247 Gatwick Airport Transfer is a great choice for a minicab service. We cover all London postcodes, ports and stations and you will definitely have a great experience with us. We are here to make your transfer as enjoyable as possible and offer timely transfer services at all times. If you are traveling to Oxford Circus Station you might be interested in a couple of general information. The location is at the junction of Oxford and Regent Street. The tube has connections with the Central, Bakerloo and Victoria lines and is one of the busiest streets in London, serving more than 98 million entries and exits. The intersection is one of the busiest and has more than 40k pedestrians. If you are looking to do some shopping in London, Oxford Street is one of the places to do that. Here you will find a variety of international brands for footwear, clothes, technology, etc. Some of the brands are GAP, Topshop, John Lewis, Marks & Spencer. Also here you will find a variety of restaurants and international fast food chains. You can check out: Aubaine, Pizza Express, RossoPomodoro or Vantra Vitao. Also you can find here McDonalds, Subway, Burger King, Costa Coffee, Starbucks, etc. All you have to know is that shops here usually are closing around 5PM. Also, if you are looking for a hotel nearby you have a couple of choices that include the Astor Court or Holiday Inn. If you are trying to reach Oxford Circus Station from Gatwick you have three options that include: rail, road or transfer. If you are looking for a journey from Gatwick to Oxford Circus Street you can take either the Gatwick Express or the Southern that will get you as far as Victoria Station. From there you will have to take the tube and get at your destination. If you have rented a vehicle you can travel taking the M23 and afterword’s the A23. The car journey will take around 50 minutes without traffic. The trouble comes when you have luggage on you or if you are not acquainted with the London traffic, then your journey may prove to be a stressful one. If you need a stress free ride you can always take a Gatwick to Oxford Circus station transfer service with 247 Gatwick Airport Transfer. We provide a variety of vehicles that can cover up to 8 or 19 passengers. You can choose from a normal saloon car or even Executive or VIP vehicle. For us the most important thing is that you arrive at your destination in time and that you have a relaxing and comfortable time. The price for a Gatwick to Oxford Circus Station transfer will start from 57 GBP and you will have meet & greet services at the airport included and also free Wi-Fi. Book your transfer fast and easy with our professional team.